I’ve been very fortunate to see two books to which I have contributed chapters published in the last two weeks. One has had a very long gestation period for one reason or another, whilst the other has appeared almost without me realising. ‘Plas Brynkir, Dolbenmaen’, edited by Mark Baker, was published by the charity ‘Love My Wales’ on the 6th of December 2014 in a parallel English and Welsh text. In a blog post back in August 2013 https://medievalparksgardensanddesignedlandscapes.wordpress.com/2013/08/05/park-it-like-you-stole-from-it/ I mentioned that I’d identified the medieval park at Brynkir (Longitude 52.966347; Latitude -4.199188) and that the Welsh national media had picked up on the story http://www.bbc.co.uk/news/uk-wales-north-west-wales-23458968. Subsequently Mark Baker, who is researching ‘The Impact and Development of the Welsh Country House’ for his PhD at Cardiff University contacted me to ask if I would contribute a chapter on the identification of the medieval deer park and how it could have been used by Welsh royalty in the 13th century. The opportunity to be able to write about a park I had only very recently identified and set it in context with other research on the estate and its inhabitants was too good to turn down. The cover of the ‘Plas Brynkir, Dolbenmaen’ book. 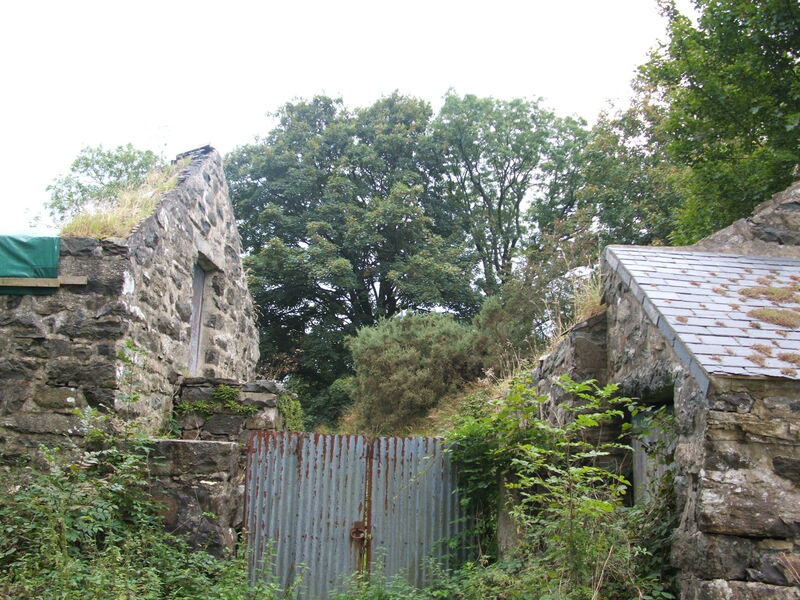 Research into the park at Brynkir is important because it offers the opportunity to place it into context with the two successive houses which were constructed within the park. These houses were constructed from the fifteenth century onwards, replacing the park hunting lodge which would have served the motte and bailey castle of Dolbenmaen (Latitude 52.964237; -4.224996). Importantly, the landscape context of the medieval park remains substantially intact, particularly compared to other parks which have seen development impinge upon them. The book launch was held in the Community Centre in Golan, a village to the south of Brynkir and the launch was opened by Lord Dafydd Ellis-Thomas who contributed the foreword to the book and is the Welsh Assembly Member for Dwyfor Meirionnydd, the political constituency in which Brynkir is situated. 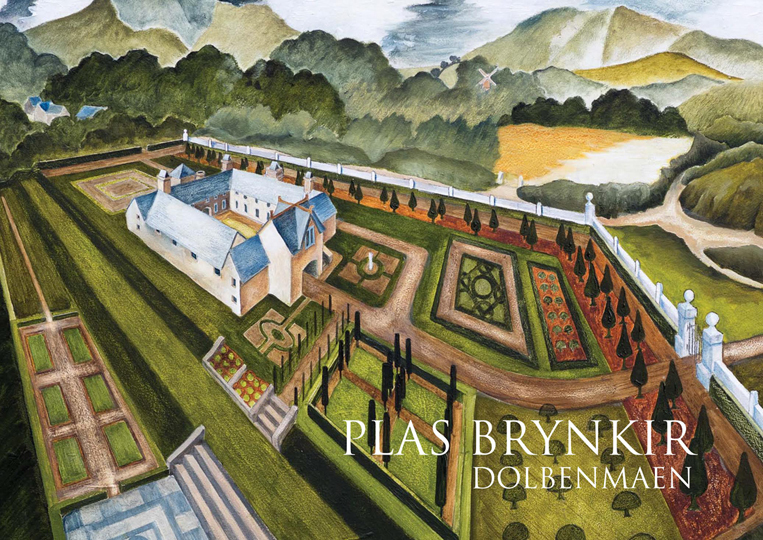 If you would like to purchase a copy of ‘Plas Brynkir, Dolbenmaen’, visit the Love My Wales website at http://www.lovemywales.org Price is £15:00 with £4:99 postage and packing. 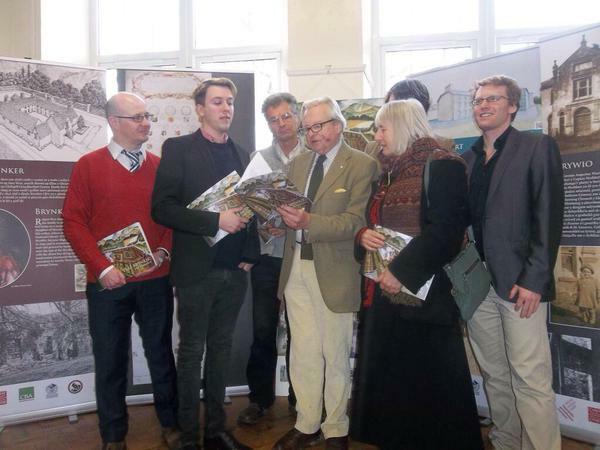 All proceeds from the sale of the book being used to fund the 2015 season of archaeological excavation at Brynkir. 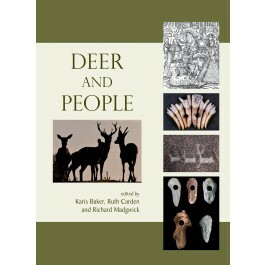 ‘Deer and People’, edited by Karis Baker, Ruth Carden and Richard Madgwick was published by Windgather Press on the 9th of December 2014. Bringing together twenty four papers from conferences in Lincoln and Paris, I attended the conference in Lincoln in 2011 and gave a paper on the topic of ‘Parks and Designed Landscapes in Medieval Wales’. The presentation of this paper marked the first time I had presented a paper on my PhD topic as a whole, rather than on an individual park and its attendant landscape. The paper attracted several questions which I wasn’t able to fully answer at the time, but the paper benefited greatly from presenting in front of people who were able to push me like this. The paper covers parks and designed landscapes I have discussed previously in my blog, including Sycharth (Latitude 52.824530; Longitude -3.1808960), Eyton (Latitude 52.991226; Longitude -2.968168) and the Parks of Dyffryn Clwyd including Ruthin (Latitude 53.114477; Longitude -3.310576). I’m hopefully that the paper encourages other researches to engage with the topic. Over the next few weeks I’ll discuss the papers in greater detail, but I wanted to inform you that my research – along with the research of others – is available for dissemination. If you would like to purchase a copy of ‘Deer and People’, visit the Oxbow Books website at http://www.oxbowbooks.com/oxbow/windgather-press-imprint/deer-and-people.html Price is £36:00. The blog is a day later than usual – but that because the story of this current blog post has only just come to an end. I had a day off last Monday, and I used it to visit two archaeological exacavations happening 10 minutes away from where I live. Both are on prehistoric hillforts, and both are fascinating. I’ll confess now to a previous life as a prehistorian – I spent 4 years at Bournemouth University as part of the ‘Billown Neolithic Landscape Project’ on the Isle of Man. I learnt so much about looking at, and interpreting a landscape without documents – which can be a bit like looking for medieval deer parks in North Wales – relying on the palimpest of landscape features to guide your thought process. The excavations at Moel y Gaer, Bodfari (Latitude 53.226804; Longitude -3.357079) by the University of Oxford: http://www.arch.ox.ac.uk/bodfari.html and Penycloddiau (Latitude 53.198650; Longitude -3.306009) by the University of Liverpool: http://www.liv.ac.uk/sace/resource/LAFS_report_2012.htm are excellent examples of where archaeologists working in different disciplines can assist each other in interpreting a site. I’m interested whether the prehistoric hillforts found themselves an afterlife as animal enclosures in the medieval period, see my blog post: https://medievalparksgardensanddesignedlandscapes.wordpress.com/2013/07/08/archaeological-arrogance/ for the re-use of Parc-y-Meirch / Dinorben as a medieval horse park. So far I have at least three hillforts where I can attest their re-use, either from historical or archaeological sources. By the same token, the prehistorians are interested in what happened to their sites after they went out of use as hillforts. It’s early days in understanding the later use of Penycloddiau and Moel-y-Gaer, Bodfari, but the archaeologists could not have been more helpful. Thanks to the generosity of the media in running the story, the funders who have made sure I’ve already made it to 1/8th of my required total: http://www.gofundme.com/medievalgardensandparks and fellow archaeologists for allowing me to visit their excavations I’ve enjoyed a positive week – with the final part coming at 7:55 this morning when I was interviewed on BBC Radio Cymru (the Welsh Language radio station) about the work at Brynkir Medieval park.